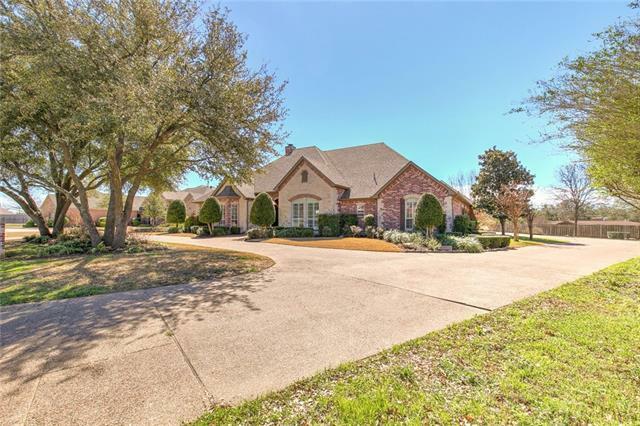 All Cleburne homes currently listed for sale in Cleburne as of 04/21/2019 are shown below. You can change the search criteria at any time by pressing the 'Change Search' button below. 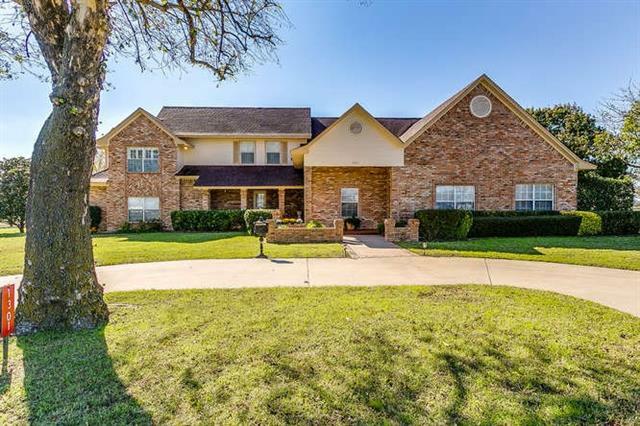 If you have any questions or you would like more information about any Cleburne homes for sale or other Cleburne real estate, please contact us and one of our knowledgeable Cleburne REALTORS® would be pleased to assist you. 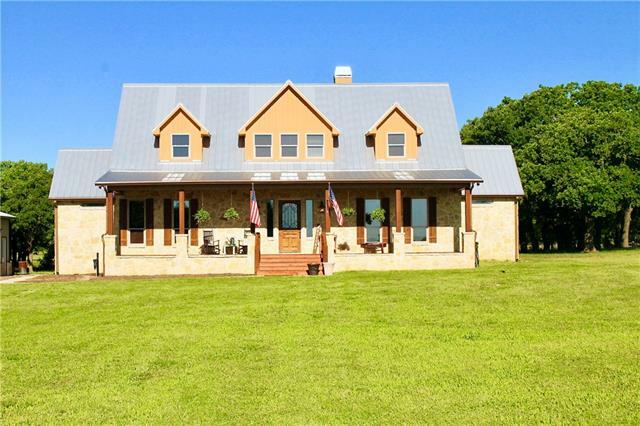 "Peacefully situated on approximately 93 acres, 4 stock tanks, boasting fantastic views. Property has deep well and Septic System. Main House 3173 sq ft 2 Story, 3-3 with an amazing 43x17 bonus room. Guest House is 1376 sq ft 2 Story, 2-2 with covered parking and large balcony. Bardominium is 4800 sq ft 3 Story, 2-3 with a 40x50 living-entertaining area on 1st floor. 2 outdoor spaces ideal for extra entertaining space. Would make a fantastic Wedding Venue, Distillery, Winery or Restaurant. 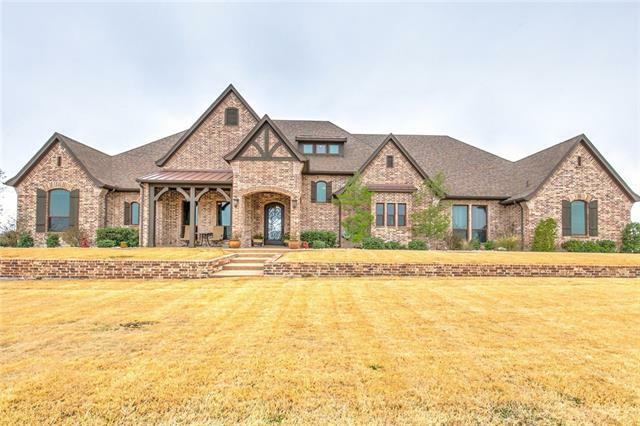 1"
"Luxury Ranch Estate that includes 3 different parcels of land totaling close to 80 rolling acres. The elegant traditional home boasts 3 bedrooms, 3 full bathrooms and 2 living areas and all with views of the peaceful countryside. You'll find hardwood floors in the entry and living areas, along with plantation shutters and fresh paint. All of the rooms are spacious and filled with natural light. Just outside you'll find many tall trees, pipe fencing, 2 stock ponds, 2 barns, and an 800 foot well." 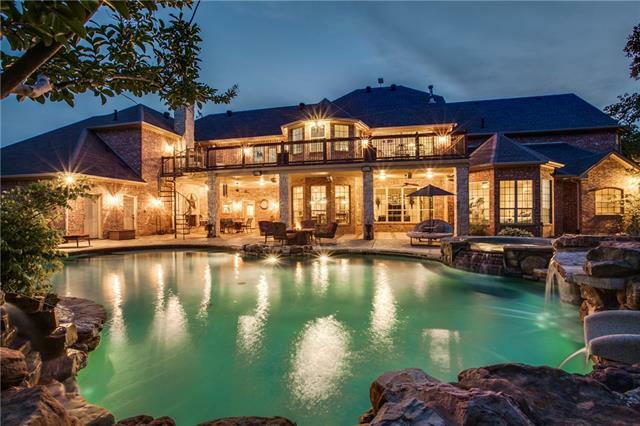 "Luxurious, gated executive estate nestled on 4.3 acres! Pool with lagoon finish includes three waterfalls, slide, jacuzzi, basketball goal, and water cocktail table! Wall of windows in house overlook private back yard! Open floor plan! Living room boasts floor to ceiling rock fireplace! Chef's delight kitchen has double ovens, stainless steel appliances, pot filler, and huge pantry! Spacious master retreat has seating area! Each bedroom has its own full bath! Large closets throughout! E"
"MASTERFULLY DESIGNED CUSTOM HOME INSPIRED BY RESORT STYLE LIVING. Enter the Grand Entryway, Past the Dramatic Rod Iron Door & Staircase & into Entertaining Spaces at every turn. Inside you will find an Impressive Kitchen with built in Stainless Appliances and Carrera Marble tops. Don't miss the Divine Master and En-suite with Spacious Closet. Follow the stairs to an Expansive Bonus Room with built in Bunk Beds and Full Bath. Downstairs offers a Second Living or Man Cave with Quality Crafted Wood"
"This elegant home is a must see! No details were overlooked in this 3 bedroom 3.5 bath dream home! 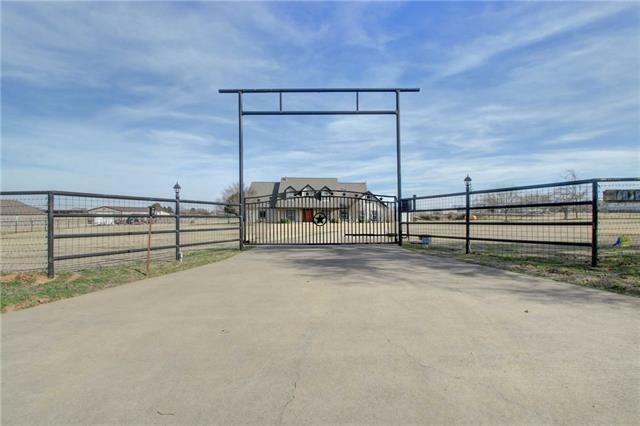 Upon entering through the security gate and circle driveway take in the view of the 3.097 tree covered acres. This home boast custom doors and windows, hand scraped pure oak wood floors, imported Italian porcelain tile, copper sink and venthood in the kitchen, marble counter tops with tumble stone backsplash and two kitchen islands. 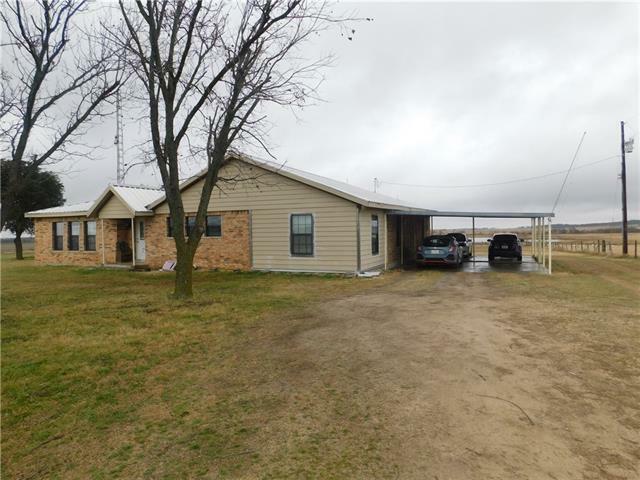 It also has and attached 1 bedroom 1 bath guest home with full ki"
"THIS BEAUTIFUL CUSTOM-BUILT 4 BED 4 BATH HOME FEATURES AN ELEVATED VIEW ON OVER 20 MANICURED ACRES. GATED ENTRY OFF A DEAD-END ROAD GUARANTEES PRIVACY. YET JUST OUTSIDE CLEBURNE AND 10 MINUTES TO CHISHOLM TRAIL PKWY. THE CUSTOM FEATURES OF THIS DESIGNER HOME WILL CAPTURE YOUR EYE. FROM THE STONE EXTERIOR TO THE CUSTOM FLOORING AND COUNTERS. AMPLE ROOM FOR A GROWING FAMILY." 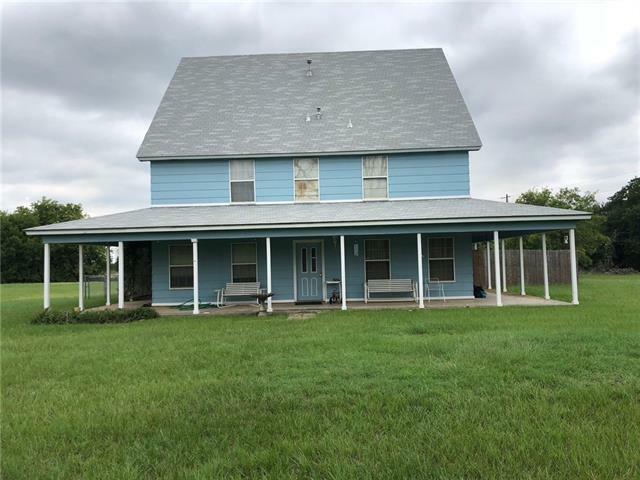 "Come check out this gorgeous country home in the sought after Joshua ISD. This spacious, open concept 3624 sqft. home has real hard wood floors throughout, lots of natural light and closet space for days. 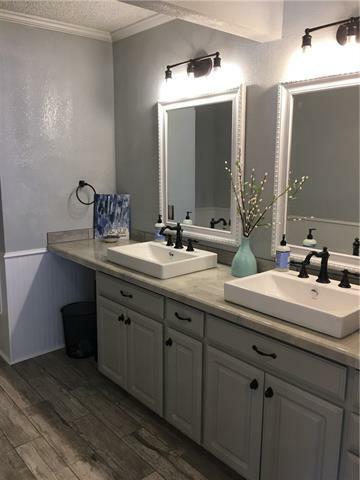 Don't miss the master suite complete with sitting area, his and her closets and vanities and your own soaking tub which is a retreat in itself. All the important upgrades has been made within the last 2 years which include new roof, 5 ton and 3.5 ton inside and outside HVAC units, upgraded aero"
"NICE PROPERTY WITH OVER 30 ACRES ,WITH A POND,WELL, 2 HOUSES, ONE OF THE HOUSES IS FULLY FURNISHED,TOTALY UPDATED,SECOND HOUSE NEEDS TO BE FINISHED,WORKSHOP,MACHINERY IS INCLUDED WITH THE PROPERTY,THIS PROPERTY HAVE A LOT OF POTENTIAL, LOCATED IN A QUIET AREA,THIS IS A MUST SEE IT,DON'T LET THIS ONE GO BY." "You'll love this elegant CUSTOM HOME situated on almost two acres lot with spectacular lake view! 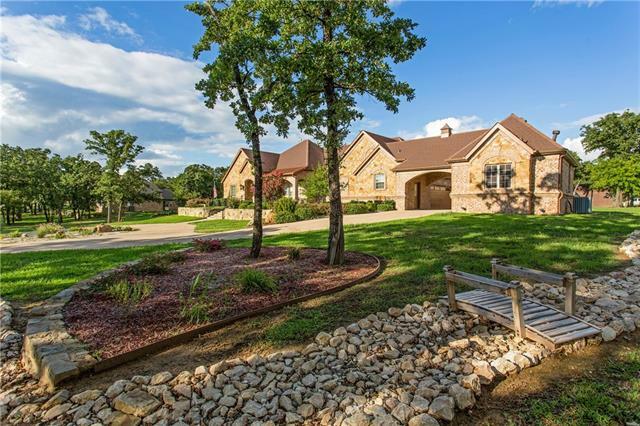 Just few mins off I-35 HIGHWAY, 10 MINS from BURLESON & 20 MINS from magnificent FORT WORTH! DREAM OPEN FLOOR PLAN w 4 beds,4 baths & 2 huge living rooms will give you 4,464 sq ft of generous space perfect for city escape! High-end finishes and upgrades are incredible. Large windows bring in an abundance of natural light. Massive backyard w over-sized covered porch, open patio, outdoor fireplace, "
"You will feel at home from the moment you pull into the circle drive, walk past the relaxing water feature and into this classic ranch style home. Once inside you will realize how massive every room in this home is including an office and laundry room that are the size of most bedrooms. 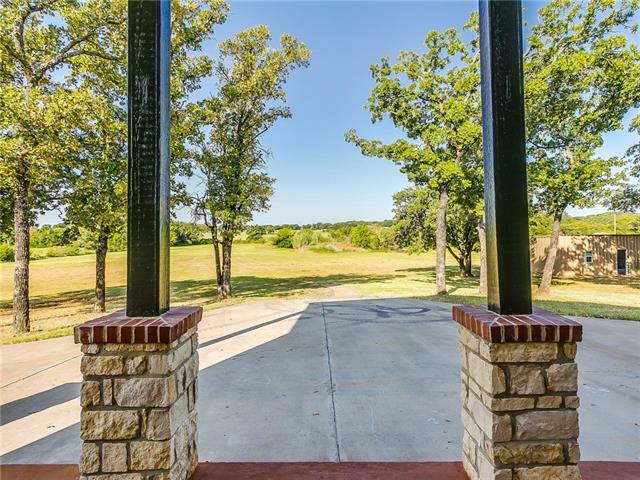 Enjoy the sunsets and amazing views sitting atop the hill from your wrap around porch or sunroom. 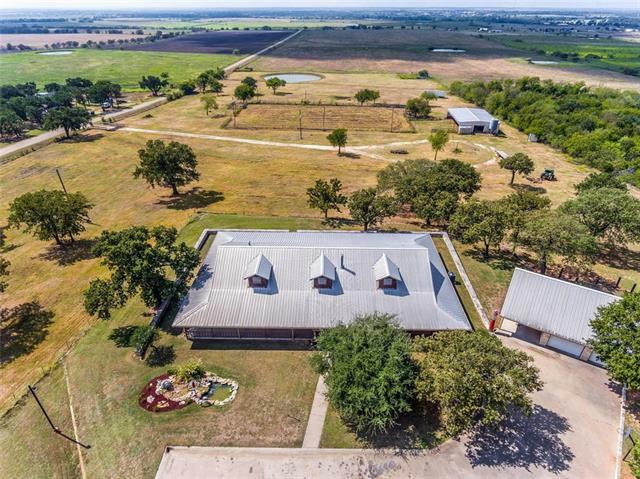 Acreage that is fenced and cross fenced features a lighted arena, hay barn, stocked tank and an implement storage"
"Beautiful country estate on almost 6 sprawling acres. Picturesque views as you enter the property. Fully stocked pond ready to enjoy. Dynamic floor plan includes a sunroom and garden room. The great room has vaulted ceilings with massive stone fireplace and a wall of windows with panoramic views. Custom wood flooring with rich history throughout the family room. Spacious kitchen is fully equipped and ready for cooking your next holiday meal. Formal dining room, wet bar, and sitting room. Bonus r"
"Are you ready for Life in the Country. 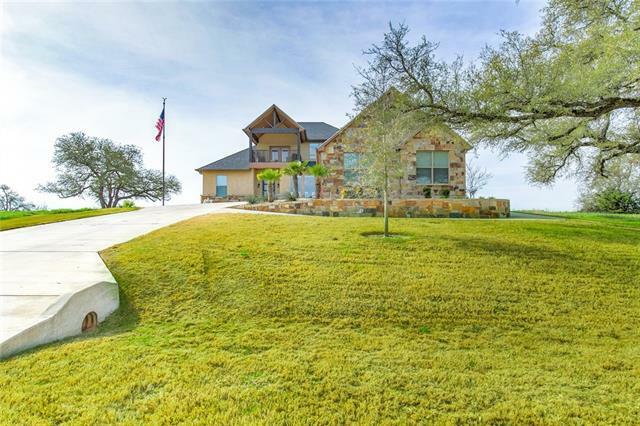 Then check out this custom built home sitting on 6.7 acres adjacent to Cleburne State Park. Home has a spacious living&den area with corner fireplace that combines with a large island kitchen with black and chrome fixtures and plenty of cabinet space. A formal dining area is adjacent. Master bedroom suite with corner fireplace includes a shower sauna and large walk-in closet. Additional bedrooms also have walk-in closets. Office has lots of shelving and d"
"NEW PRICE! ICF Insulated concrete form with foam insulation, home that was built to stand the test of time. 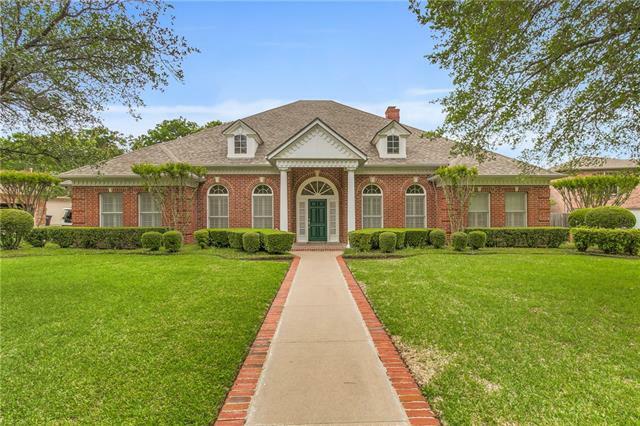 You will LIKE the drive up appeal when you enter the iron gate then you will LOVE the home once you see the construction details. Deep drawers in kitchen, with all the built-ins. Safe Room which doubles for the pantry. So many rooms to use as you need. Utility is also upstairs and stackable washer & dryer is staying. Gas log fireplace with a blower or heat can go through out home through v"
"Simply stunning! 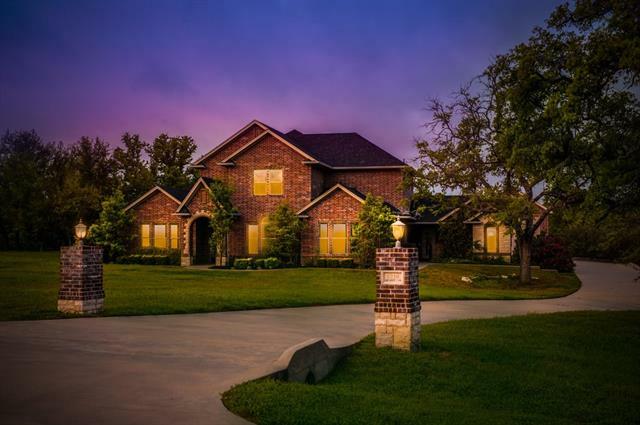 4 bedroom custom home masterfully blends elegance and comfort. Pool House features full kitchen, bath, and fabulous entertainment space. Second garage adds to the abundant features. Luxurious property with new select wood flooring in main rooms. French Country exquisite Kitchen and Breakfast area with beautiful views of backyard oasis with pool, spa, and lush landscaping. Renovated kitchen with GE appliances, island, and stunning white ice granite counter tops. Custom windows cr"
"This stunning 4 bedroom, 4 bath home sits perfectly in The Retreat Community. Gorgeous views of the golf course all throughout the home or on the top floor balcony. Beautiful engineered hardwood European Oak and porcelain tile floors. Gourmet kitchen with stainless steel appliances, sub zero fridge, granite counter tops, tons of cabinet space and a large walk in pantry. Open floor plan to keep the whole family together. 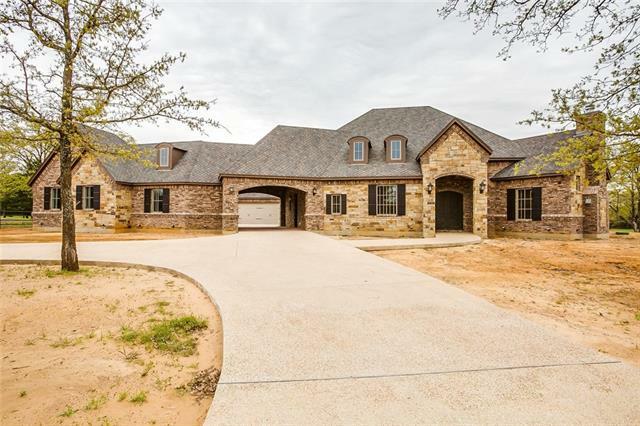 An abundance of storage space and an amazing Elfa closet system with jewelry"
"SIX BEDROOM HOME ON ALMOST 10 ACRES. SECOND STRUCTURE ON PREMISES WITH HOOKUPS FOR ELECTRIC, GAS, WATER AND SEWAGE. WRAP AROUND PORCH ON THREE SIDES OF HOME. SO MANY FEATURES WE HAVE PUT A LIST IN THE DOCUMENTS! 9 ACRES HAS AG EXEMPTION. BUYER TO VERIFY ALL INFORMATION IN LISTING." "This home on 5+ acres is a rare find of quality,condition and location.Expansive living areas,formal dining and a large kitchen with an abundance of cabinets and counter space that opens to a breakfast area.Second living area leads to an ample size sun room with a wall of windows that give you a wonderful view of the country.Two master bedrooms,one up and one down, each offering full baths. Downstairs master features a small living area.4th bedroom is currently being used as a massive office.The"
"Although currently being used as a residence, this property could easily be turned into a commercial building. Sitting on almost 3 acres provides space to build just about any building you would like. 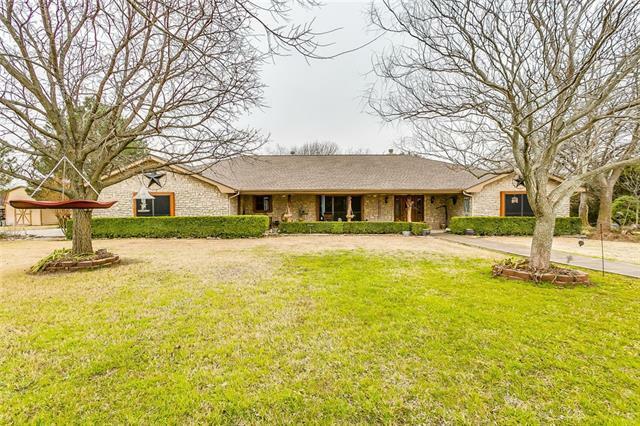 Great location in the quickly growing city of Cleburne." 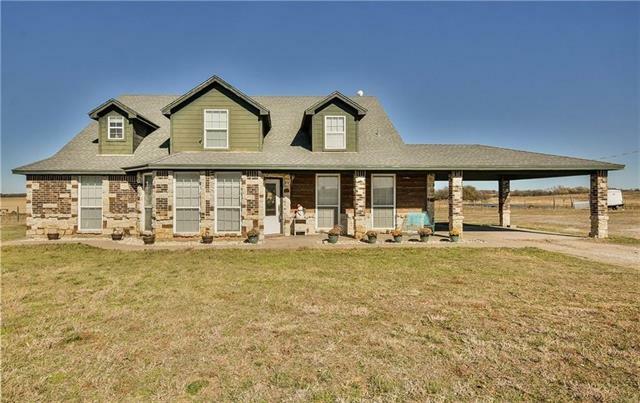 "BEAUTIFULLY UPDATED FARM HOUSE WITH ATTACHED APARTMENT WITH SEPARATE ENTRY NESTLED ON GORGEOUS, PERIMETER FENCED 21 ACRES IN CLEBURNE, TX. UPDATES INCLUDE ROOF 2015, REPLACED SEPTIC PUMP, NEW LINES, PLUMBING LINES 2018. NEW BAMBOO WOOD FLOORS, TILE IN BATHROOMS, NEW COUNTER TOPS, SINKS, FAUCETS, SHOWERS&BATH, COMPLETE BATH RENOVATIONS. NEW COUNTERS IN KITCHEN, SS DBL OVEN, SS MICROWAVE, NEW LIGHTING & PAINT THROUGHOUT HOME. SUN ROOM OVERLOOKS TREED BACKYARD & LAND. 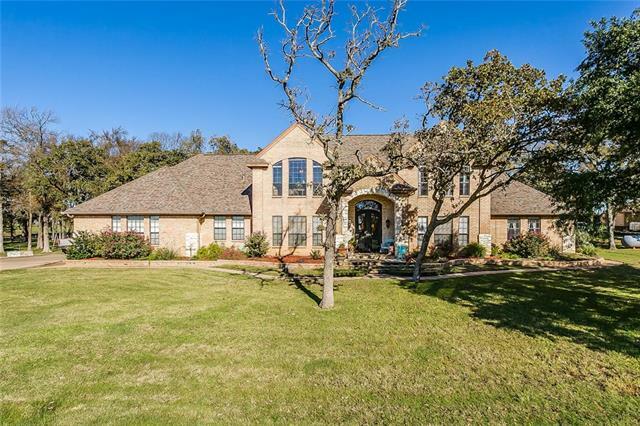 5 PECAN TREES, POST OAKS,LIVE "
"Beautiful home with a breath taking back yard and your own private oasis. Gorgeous saltwater pool with built in hot-tub and outdoor entertainment area perfect for all your gatherings. Stunning iron door to greet your guest. Newly refinished hardwood floors, updated carpet. Master retreat offers spa like feeling with large walk-in shower with stone floor and frameless glass doors. Granite countertops with copper sinks, soaking tub, and bedroom size closet. Gourmet kitchen with stainless steel app"
"Custom built home located in the gated premier golf community of The Retreat! Open kitchen with double oven, island with wine cooler & breakfast area that overlooks lovely living area. Living boasts a beautiful fireplace that leads to the formal dining. Private office with built-ins. Spacious master suite with walk-in shower, great walk-in closet. Entertain in the bonus room that features wet bar & outdoor balcony. 5 car garage with workshop & RV boat storage. Gated community with 24hr security,"
"What a beautiful home!!! Large and roomy. Four bedrooms with master down stairs . All the baths were remodeled this year! They are beautiful!! Two living areas ,two dining areas. Bonus room in Garage with heat and air and two large storage closets. This room could be office ,exercise room,whatever!!! Sq.footage on bonus room is not in sq. ft. of house. Lots of possibilities. Outdoor Kitchen and pool with hot tub..Wonderful neighborhood. Lots to see!!!" 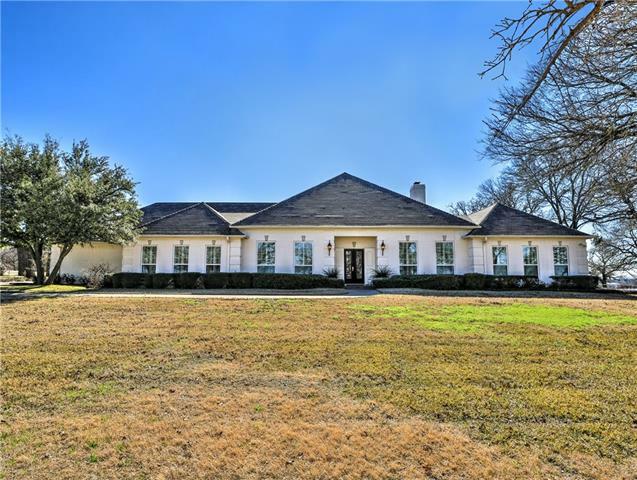 "Gorgeously updated home on approximately 6 acres! This open concept house shines with granite, new flooring, fresh interior and exterior paint, updated baths and the list goes on. First floor includes master suite, living and dining areas, eat in kitchen and additional half bath. Upstairs has the additional 4 bedrooms and 2 full bath. Property has 2 metal shop or barns. Shop 1 is 18 by 26 Shop 2 is 23 by 32 each have cement floors. Great for your weekend projects, horses, cattle and equipment! "